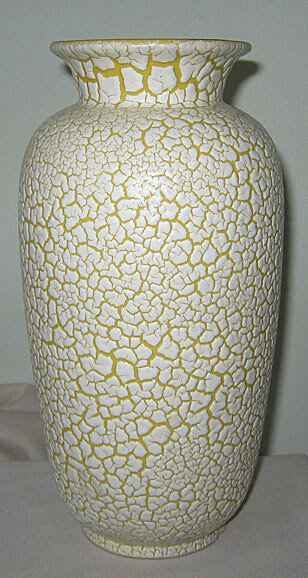 This vase is from Jasba with a harder to find yellow version of the Cortina glaze from the 1950s. It's a striking look, especially in this larger size. This is fairly early in the West German era since it was introduced in 1956. Condition: is good, but there is a fairly shallow chip right at the base. 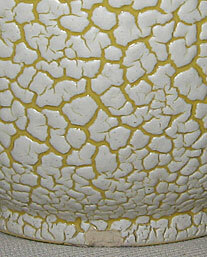 The good news is that with this glaze and clay, the chip is much less noticeable. 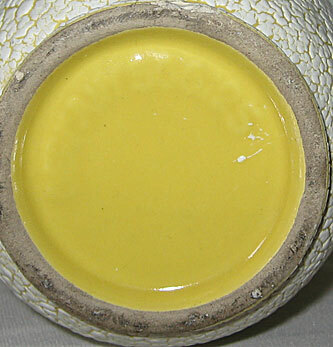 See the detail picture. All sales are fully guaranteed.